A wedge. Easily identified by its isosceles triangle shape. Its two main sides slant from its relatively wide top to a very sharp narrow end. 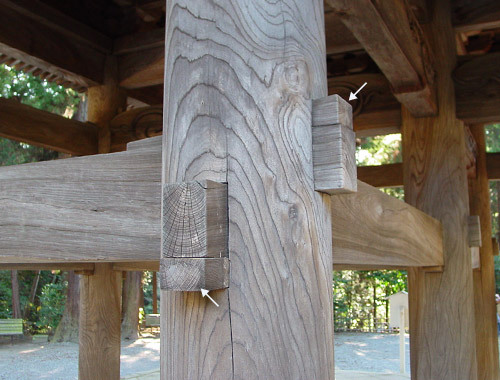 In Japanese joinery wedges are made of wood in a multiplicity of shapes and have many uses. For example, wedges are used to partially split some tenons in order to render them impossible to loosen once pounded into the mortises.